- HAY &amp; FORAGE SPECIAL!! FINANCE at 1.9% FOR 60 MONTHS!!! Geographical restrictions may apply. HAY &amp; FORAGE SPECIAL!! FINANCE at 1.9% FOR 60 MONTHS!!! Geographical restrictions may apply. 2015 Massey Ferguson 2956A Round Baler with 4,700 Bales and 1000 RPM PTO. 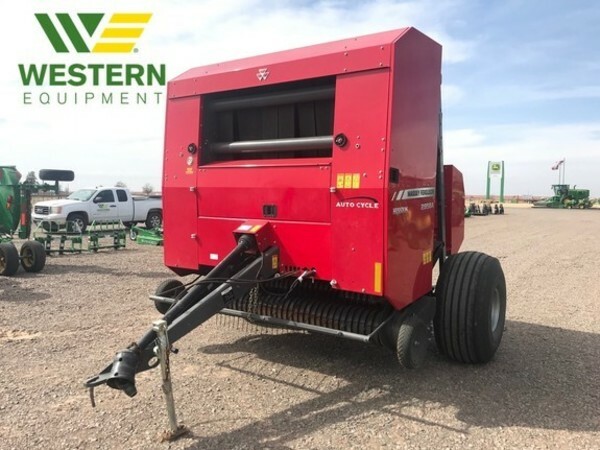 For more information, contact your local Western Equipment at (940)-937-3693 or at cwashington@west-equip.com.